With scenic Kappil River flowing on one side and enchanting backwaters on the other, the hotel Vivanta by Taj looks beautiful no matter in which season you visit this place. 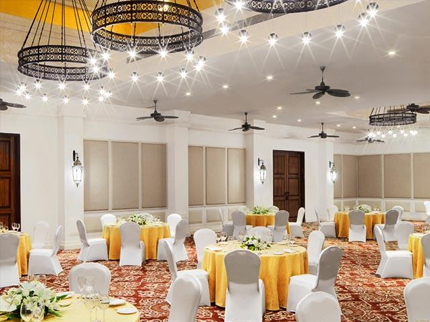 It offers the most amazing pleasures and experiences to the guests with the help of facilities like swimming pool, restaurants, landscaped gardens, and spa and entertain them with activities like boating, rowing, kayaking, fishing, and trekking. For someone in search of peace and tranquility, the hotel offers an enchanting as well as romantic escapes, which one can seek during free time. 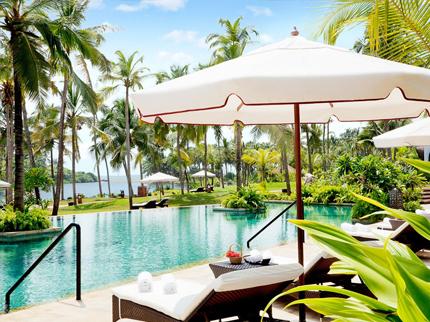 The multi-cuisine restaurants, Ayurvedic treatment center, spa, and pool facilities offered at Vivanta by Taj makes it one of the most popular and luxurious hotels in Bekal beach. The rooms in this hotel are inspired by the design of Kettuvallam house boats and reflects Chitra Pothi art on the walls, giving a touch of Kerala rich culture and traditions. Vivanta By Taj features 71 villas and rooms which are categorized as Superior Charm, Deluxe Delight and Premium Indulgence rooms. 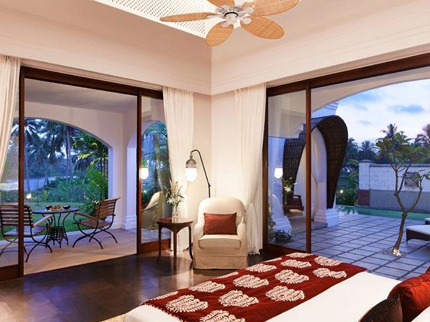 Some rooms are provided with balconies and sit-outs, while others rooms feature plunge pools. 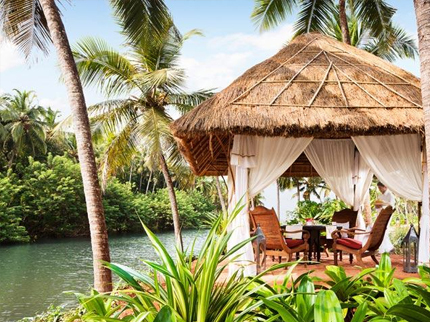 Nestled across 26 acres of land, the cottages and villas at Vivanta By Taj offers the magical view of the lush green gardens, swinging palms and serene backwaters. 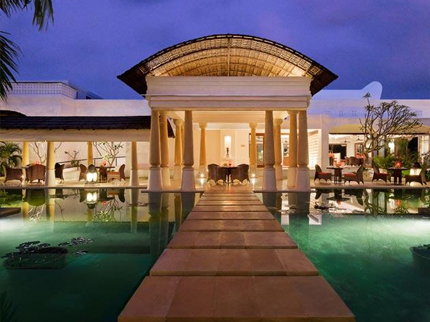 It provides 71 beautifully designed villas and rooms that reflects the Kerala culture with Balinese influences and offer balconies or private pool for a luxurious stay. 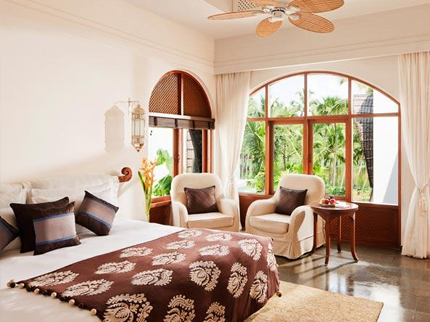 The rooms are categorized as Superior Charm Room with Balcony, Superior Charm Room with Sit out, Deluxe Delight Room with Courtyard, Deluxe Delight Room with Plunge Pool, and Premium Indulgence Room with Plunge Pool. All the rooms are equipped with world-class amenities that are listed below. 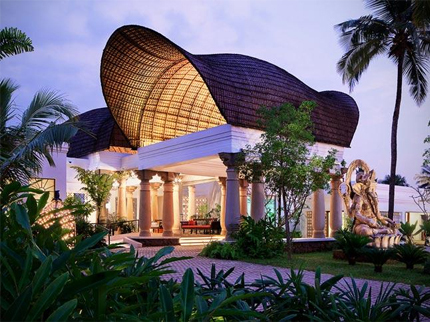 The Vivanta By Taj is located next to the meandering Kerala backwaters and is 7 kms away from Bekal Fort. The famous waterfall at Ratnakars Farm is approximately 30 km from the hotel and the Mangalore Airport, which connects Bekal from rest of the world, lies around 80 kms from the hotel. 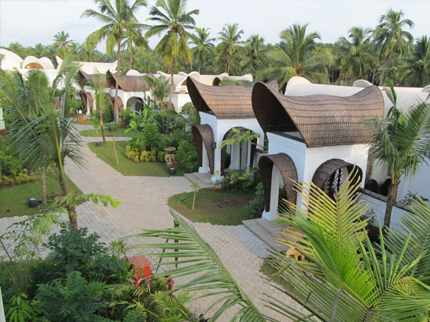 Vivanta By Taj is one of the prime hotels in Bekal, which is situated on Kappil Beach. Some of the nearby attractions here are Pallikere Beach, Bekal Fort, Chandragiri Fort, Pandiyan Kallu, Ananthapura Lake Temple, and the waterfalls at Ratnakars Farm. The nearest railway station from the hotel is Pallikere Railways Station, which is approx. 7 kms from the hotel.